Mary and John Semple, from Torrance. The family of an elderly disabled Torrance woman and her husband are furious they have been left without a phone line by BT for over a month. Mary Semple (86) and husband John (89) were told by the telecoms giant their line had suffered a broken connection on November 28 last year. Mary suffers from a serious eye problem and chronic arthritis, and daughter Janet Cameron, who lives in Argyll, said the phone is her only means of communication. Janet told the Herald last week the family had been given “the runaround” by BT. She said: “My mum is virtually housebound. She has macular degeneration which has resulted in her losing a lot of her sight, and struggles to walk with arthritis. “She can’t see to send a text and mobile phones are expensive to use all the time. “Despite her disability and their ages, BT are making no effort to fix the line, which I think is completely uncaring. “First of all they said the line would be fixed on January 2, then they said it would then be January 9. They also at one point said the council had not installed temporary traffic lights for their engineers to do the work. 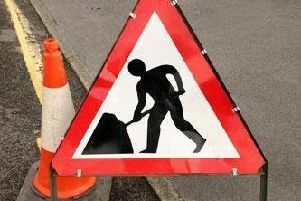 Keith Scrimgeour, Neighbour Network Manager for East Dunbartonshire Council said: “Our roads team has not been approached by BT to organise a road closure. A BT spokesman apologised on Monday and added: “The fault was traced to a major cable running under the main street in Torrance. Openreach engineers tried to find alternative solutions but these were not possible. He said this had been agreed and the couple’s phone service should be reconnected on January 17.